Kane Company, P.C. 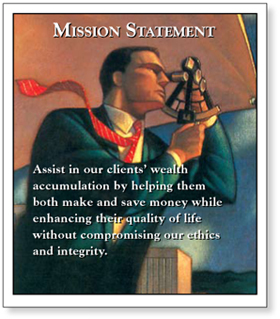 is a fiduciary wealth management firm offering a comprehensive approach to providing professional financial and tax advice. Our Certified Public Accountants and Certified Financial Planner™ can help you develop and implement a long-term strategy that meets your financial goals. Fee-Only Investment Advisory Services (using no-load mutual funds and exchange traded funds). Click here to view our Form ADV Part 2 Firm Disclosure Brochure. Dimensional Fund (DFA) Advisor (www.dfaus.com). Our firm primarily utilizes DFA funds, which provide global investment solutions with state-of-the-art portfolio design and trading. These world class funds are only available through approved fee-only advisors like ourselves, and not available to the general public. In combination with Dimensional Funds, we offer a new model of investing based on financial science and engineering, decades of academic research, and not on speculation or market timing. Click here for more information. Click here to learn more about how DFA identifies the relevant dimensions of risk and return. Files are in Adobe Acrobat (pdf) format. Copyright © Kane Company PC. All Rights Reserved.